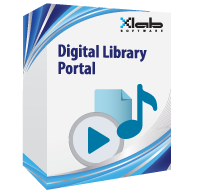 is a Desktop application, provide library visitors by many tools helping them access all electronic resources they have searching for, like electronic books in various extensions , media files like music and documentary movies. etc. visitors can access all internet resources through the portal, and navigate to library special links configured by library administrator; also the visitor can access other application like MS Office or Windows Accessories Programs and that also configured by the library administrators. administrator can announce news or promotions through the portal welcome page. has a sophisticated search engine; the visitors use it to easily access certain resources, also the resources can categorized according to many dimensions needed to fit visitors requirements. provides a high security levels to protect all library resources from violence or damage, and the application also isolated the operating system in the system background to prevent the users access it.